This 15-day tour is a package to visit the most magical places in Peru. 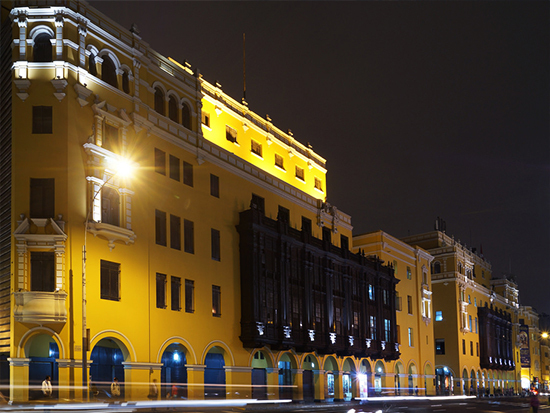 We start off in Lima, where you can discover the capital of Peru to your own wishes and needs on the first day. From Lima, we take the bus to Nazca where we can observe the mysterious Nazca Lines from a plane. From Nazca we travel to Arequipa, where you have another free day to walk around and visit some places in the city. We continue our journey from Arequipa through Chivay to the Titicaca Lake. After some lovely days at the highest lake in the world, we travel by bus to Cusco, where we get to know the historical city by a great city tour. Thereafter, we visit the wonderful Sacred Valley of the Incas. From here, we start the Inca Amazon Trail of 4 days and finally visit Machu Picchu. This tour ends on the 15th day in Cusco. On this first day you will be picked up at the airport or the bus terminal. This tour starts with a free day in Lima. 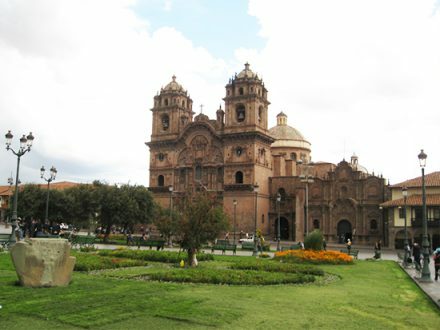 Upon your arrival to Lima, you will have the opportunity and freedom to visit whatever you desire. The area around Miraflores is definitely worth a visit! You can also enjoy your day at the beach. Please take account of the bus to Nazca leaving at 3 am the following day. We take our bus to Nazca at 03:00 am. You will be served breakfast in the first class bus of Cruz del Sur. The distance from Nazca to Lima is 451 kilometres and will be covered in 7 hours. We arrive at Nazca in the morning, around 11 am. Our representative in Nazca is Liliana Hamani. She will be waiting for you at the bus terminal and you will be transferred to the Nazca Aerodrome for your flight over the mysterious Nazca Lines. Flying over these enigmatic “pampas” for approximately 35 minutes, you will discover the huge designs which were drewn maybe hundreds of years ago by some ancient Peruvians. You will be able to observe the most important ones as the monkey, spider, hummingbird and the long perfect Nazca Lines. Afterwards, to complete your experience in Nazca, you will visit the pre-Inca cemetery of Chauchilla where you can observe the burials of the old Nazcas. Most of these tombs are original and have mummies, too. The tour continues with a visit of one of workshops; here you will see how a modern Nazca’s descender makes their beautiful colorful pottery. You will get some explanations about the ancient art of ceramics manufacturing which was made during the Nazca Civilization and afterwards visit a gold extraction workshop where the ancient secret of gold extraction will be revealed. At night, we will take a first class nightbus of Cruz del Sur to Arequipa. It’s a journey of more or less 11 hours. In the night bus, we will serve you a small meal, a drink, a pillow and a blanket to make your night trip more comfortable. The bus will be first class, but on demand we can also organise you a VIP bus to Arequipa. We arrive in Arequipa around 08:00 am. Today, you will have all day to discover Arequipa. You can choose to go to the monastery of Santa Catalina, to visit the museum Santuarios Andinos or to enjoy the Plaza de Armas. After breakfast at 06:00 am, you will leave Chivay and go to the Condor Cross, where you can observe the deep Colca Canyon and the flight of the majestic Condor. From our hotel, it will approximately take one hour and a half until we arrive. You will stay there for about 1 hour and then taking the same road back to Chivay. On our way, we will visit the towns Yanque with its beautiful church and Maca with its interesting geological faults as well as the lookout points Huayrapunko and Quehuisha, from where you will enjoy a complete view of the terraces and the mysterious lagoons of the valley. Finally you will arrive in Chivay where you will have lunch and after that start your transfer in a tourist bus to Puno. The bus service is first class with a professional tour guide on board. Crossing by amazing sceneries of the Altiplano, we will leave behind the gorgeous scenery of the Colca Canyon. On our way, we continue ascending a small road until we reach the highest point of our trip, the lookout point of the Andes (4800 m/15,748 ft). At the very top, we will get off of the bus for a few minutes and enjoy the stunning landscape with the great volcanoes including Mismi, Misti, Chachani, Sabancaya (active) and Ampato. Along the paved road, we will see many small towns as well as the beautiful lagoon Lagunillas, where we can explore trout farms and observe Andean flamingos among many Andean birds. Following an ascending road we will then reach the Viscachani. We have a short break and stretch our legs, use the bathroom if needed and drink a typical coca tea or coffee at the local restaurant. Later on, we will drive through the national reserve park of the Peruvian Altiplano to finally reach the beautiful city of Puno close to the majestic Titicaca Lake. Around 07:00 am, we will pick you up from your hotel and take you to the local port. From here, we sail by boat to the Amantani Island, located 36 km from the port of Puno (three hours by boat). It is an island composed of eight communities engaged in agriculture, corn, quinoa as well as crafts that are representative of their culture. The island has two natural viewpoints with a unique view of the majestic Titicaca Lake. We offer a rustic accommodation within a host family on the island. Lunch and dinner are served by the family and are included in the tour. After having breakfast with your host family, you will be brought to the local harbor where we take a short boat ride to the shores of Taquile Island. From here, we will start to hike to the main square, observing the people who are world famous for their intricate and fascinating weavings and community work. You will have lunch in one of the community restaurants and then descend the 535 stone steps to the local port to return to Puno. 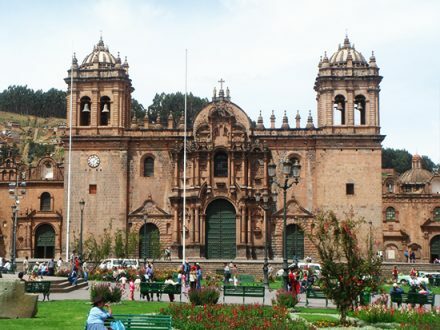 You will arrive at your hotel in Cusco around 05:00 pm. 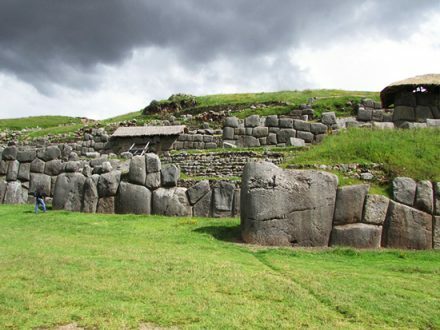 After your city tour, we will take the bus and drive to the impressive Inca Fortress of Saqsaywaman. You will be amazed by the rocks used for construction, some of them weigh more than 300 tons! 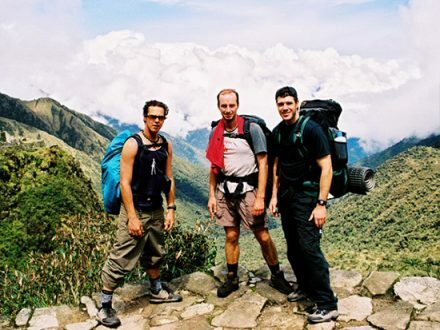 The Inca Jungle Trail will be done in 4 days/ 3 nights of trekking and mountain biking while reaching and visiting the Inca citadel Machu Picchu. This is not only an alternative to the Inca Trail, it is also the most original and extensively travelled of all the existing paths. The Inca Jungle trail is more recently discovered which leads through the Jungle to the Inca Trail and finally to the sanctuary Machu Picchu. This trek can be done in either 3 or 4 days and is a combination of biking and hiking with breathtaking scenery – this is ideal for anyone with a sense of adventure and curiosity! Your adventure begins with the pick-up around 07:00 am. The bus takes the road through the stunning Sacred Valley of the Incas and droppes you off at 4316 m (14,160 ft) altitude — the highest point of the trail, called Abra Malaga. Here, you will be transfered to your mountain bikes (we provide you a helmet, gloves, and protective pads). Your guide will give you an overview of what’s to follow… and then your adventure begins! Freewheeling down through the smooth-but-challenging roads and different landscapes, you won’t be able to catch your breath until you reach the first stop in Alfamayo-San Luis, a three-hour ride from the starting point. There, you will enjoy your lunch with a panoramic view. 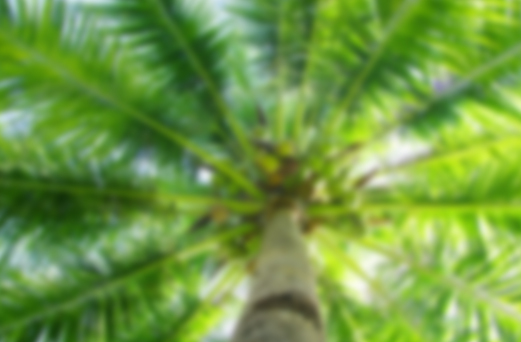 Before you head off again, you’ll have some time to freshen up and apply a dab of insect repellent. Then you will ride along a hilly path to the recently discovered archaeological site of Huamanmarca. Your tour guide will provide you with the historical background of the site before you carry on with your descent to 1,500 m (4,921 ft), where the edge of the jungle meets the small, but charming, town of Santa Maria. Here, you can purchase a snack or a nice, cold beer to enjoy while you rest your legs before being served a traditional Peruvian dinner. You will spend the night in a family-run hostel. You will wake up around 06:30 am to the aroma of the finest indigenous coffee. After breakfast, we begin our trek. The path will progressively steepen until you arrive at a family restaurant in Santa Rosa where you’ll stop for refreshments. You will move on to a rest stop where you can lie in hammocks as you admire the surrounding coca plantations. Afterwards, you’ll continue on a short path to the original Inca Trail. As the Incas did centuries before, you’ll trek along a path for just over two hours to the small town of Quellomayo. Here, you’ll stop for a well-deserved lunch. From Quellomayo, it’s just a short trek to Rio Vilcanota, which will lead you to the famous hot springs of Colcamayo. Your body will thank you as you soak in the relaxing, therapeutic properties of the medicinal waters which are nestled between the mountains. Here, you can enjoy the hot springs and relax your muscles in these natural settings. Then we carry on our hike to the town of Santa Teresa for dinner and then to your hostel where you’re sure to get a good night’s rest after wading in the thermal baths. You will wake up and have breakfast around 07:00 am. After breakfast, we will walk to Colpani while enjoying amazing views until we reach Hidroelectrica and the restaurant where we will have lunch. From here, it is only a two and a half hour walk to Aguas Calientes, the base town of Machu Picchu. We have dinner at a local restaurant before retiring us to our hostel with hot water and private bathrooms. Today, you will visit the Inca-Citadel of Machu Picchu! In order to avoid the crowds and be among the first visitors at Machu Picchu, you will depart from your hostel shortly after a very early breakfast. After managing to remain hidden throughout the Spanish Conquest, the citadel was rediscovered by American historian Hiram Bingham in 1911. Your guide will take you on a tour around the vast ruins for approximately three hours, explaining the historical significance of the various structures built during the time of the Inca Empire (mid-15th century), including the Main Square, the Royal Quarters, the Temple of the Three Windows, the Circular Towers, the Sacred Sun Dial and the Burial Grounds. After the guided tour, you will be free to explore the archaeological site on your own. If you reserve early enough in advance, you may have the option to hike up the mountains of Machu Picchu or Huayna Picchu (the one situated behind the citadel in the most commonly taken photos of Machu Picchu). They are moderately challenging hikes, but the stunning views from the top are worth the effort! Only 400 entrance tickets are available for each mountain per day, so we highly recommend that you let us know if you wish to climb one of them when you book your Inca Jungle Trail. Tickets for each mountain costs US$ 15. Climbing and descending Huayna Picchu, on average, takes 2-3 hours; Machu Picchu mountain can take 3-4 hours. Tickets to Huayna Picchu tend to sell out quickly, but don’t be discouraged if they’re sold out during your visit; Machu Picchu mountain may not be as popular to climb but it is less crowded and the views are just as beautiful, if not more. Should you wait to decide until the day of your visit to Machu Picchu that you want to take on the extra climbing challenge, there are likely to still be Machu Picchu Mountain tickets available for purchase; they usually don’t sell out. You may also opt to visit Inti Punku (The Sun Gate) or the Inca Bridge on an unguided walk. Inti Punku is the traditional end of the Inca Trail; from the citadel it takes around 1,5 hours. To reach the Inca Bridge, is takes you about 1 hour. After your free time, you may either walk back down to the town of Aguas Calientes or you can take the bus which runs on a regular and frequent schedule. Before you catch the evening train to Ollantaytambo, you may choose to have a late lunch in town, take a dip in the hot springs (not included), or simply relax and reflect on your amazing experience. Our driver will await you in Ollantaytambo to take you back to Cusco. Today, we will bring you to the airport or the bus terminal so you can continue your journey. This transfer is the end of the tour. Please do not give candies or lollies to the kids on the islands! They really appreciate oranges and other fruits as it is impossible to grow them in these altitudes and it will conserve both their teeth and the environment.